Modern Architecture on 42nd Street and 8th Avenue in Midtown Manhattan, New York City, New York State, USA.. 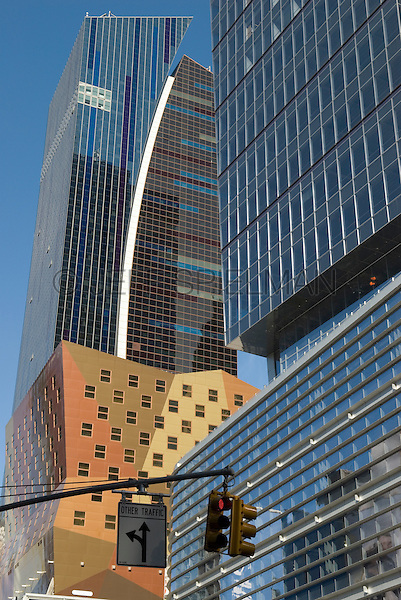 The building on the left side of the photo is the Westin New York at Times Square Hotel, designed by the architectural firm of Arquitectonica. Available for editorial licensing but not for advertising/promotion because the building is not property released.